Why Millennials Aren't Buying A Home? 50% Have Less Than $2k Saved! Why Millennials Aren’t Buying A Home? 50% Have Less Than $2k Saved! Homeownership has long been viewed as an indicator of adulthood and financial security. However, for many millennials in the United States, the views and attitudes towards homeownership are shifting. A recent survey of 2,000 young adults ages 22 to 37 revealed that 65-percent think homeownership is a choice, rather than a necessity. For those millennials who have already purchased a home, the study revealed that only 15-percent regret purchasing their home. The majority, roughly 53-percent, said they paid for their down payment with their own personal savings, while 14-percent received financial assistance from their parents. The biggest regrets accompanying home ownership include fears about making mortgage payments, purchasing a home too soon, buying a house that feels too small, and wishing they had put more down up front. 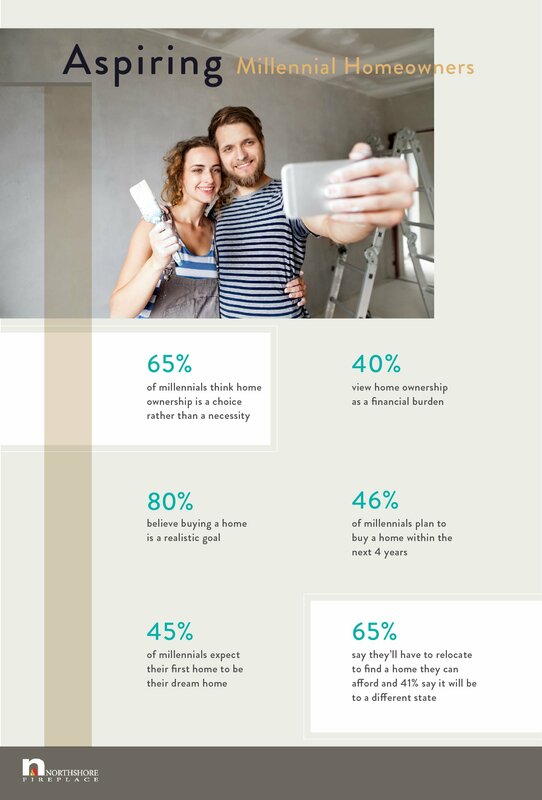 Aspiring millennial homeowners are seemingly optimistic about what their future homes will be like, once they decide to settle down. According to the study, 80-percent believe that home ownership is a realistic goal, and nearly half said they planned on buying a home within the next four years. Beyond that, 45-percent of millennials expect their first home to be their “dream” home rather than a starter or fixer-up. At the end of the day, purchasing a home is a major financial decision. Many millennials reside in cities and rely on rentals for their present accommodations. But when thinking about buying something of their own somewhere down the line, millennials are very aware that they’ll likely have to relocate to find something that they can afford. Some 41-percent of millennials think they’ll have to move to a different state to be able to afford homeownership. 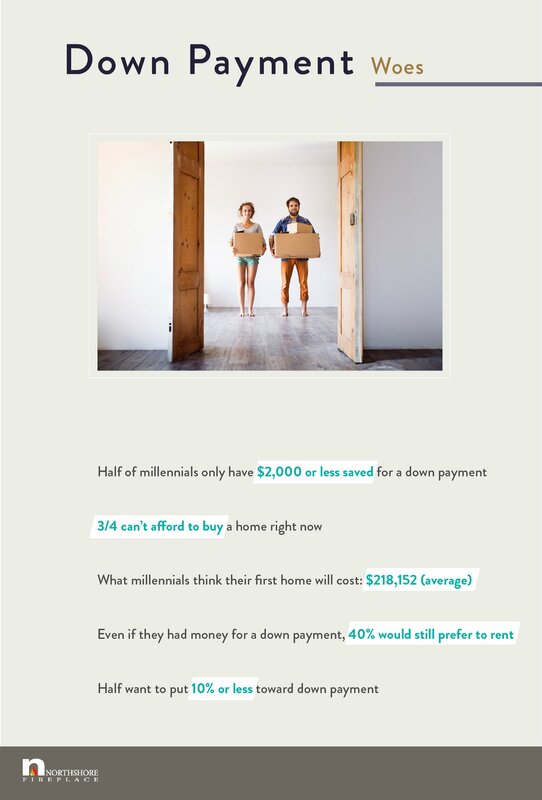 Speaking of financial expectations: the vast majority of millennial respondents (75-percent) said they cannot afford to buy a house right now, and half of millennials said they have less than $2,000 saved towards a down payment. But even if they had enough cash saved for a down payment, some 40-percent of millennials said they would still prefer to rent over owning. So, what’s stopping millennials from putting down permanent roots? Financial fears, largely. 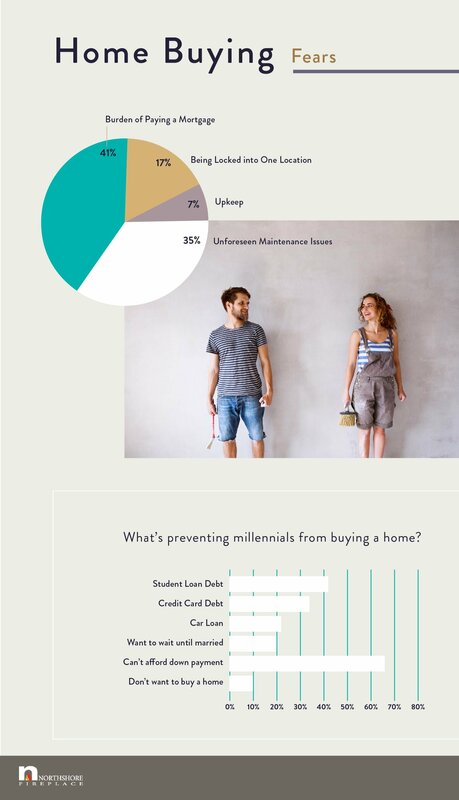 The biggest millennial home-buying fear is the burden of a mortgage payment, followed by the fear of being locked into one location, maintaining a place of their own, and other unforeseen maintenance issues. Buying a home is a gigantic financial leap, and many rent-prone millennials are saddled with additional debts. According to the study, 76-percent of millennials say some type of debt—from car loans and credit cards all the way to student loan debt—is keeping them from buying a home. When will the debt and rent cycle end for American millennials? That much is unclear. 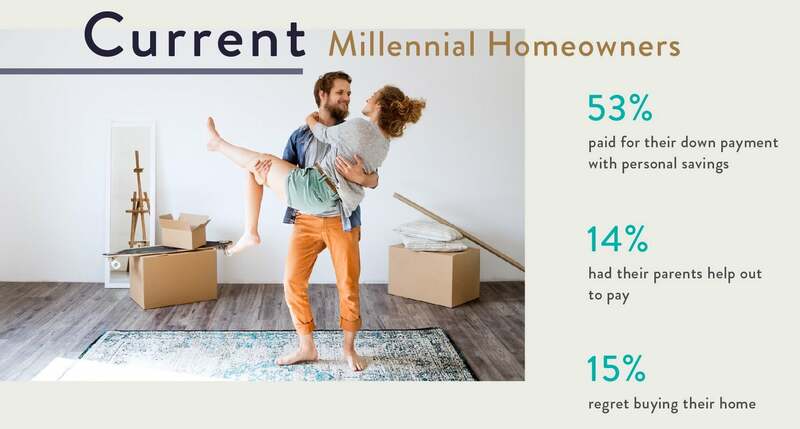 But with the millennial generation marry later, renting longer, and dreaming less of life behind a white picket fence, what is clear is that expectations surrounding ownership are changing.